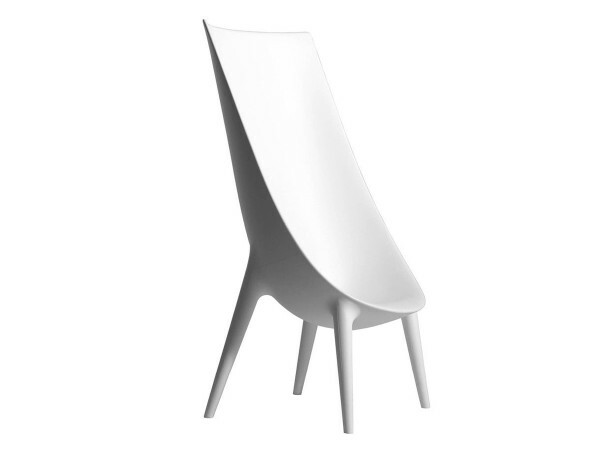 The Out/In chair, designed by Philippe Starck and Eugeni Quittlet for Driade, consists of a polyethylene single block with silver tubular anodized aluminum elements. It's an extremely comfortable armchair that seems a bulwark shell. Indoor or outdoor use. Philippe Starck with Eugeni Quittlet have created a high chair, expanded particularly in height, that transforms the object into a bulwark shell. 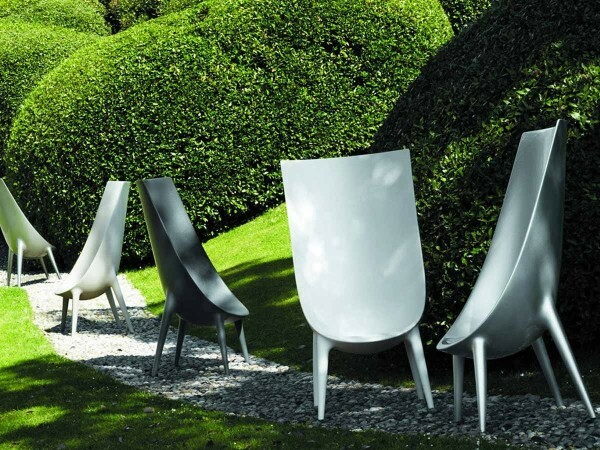 The chair is constructed in polyethylene monobloc with silver tubular anodized aluminum elements. The aesthetics of rotational molding enter a new phase of existence with the Out/In Easy Chair. The Out/In Easy Chair is suitable for both indoor and outdoor use. Available in white, black anthracite and metallic aluminium.